By Miranda Marquit 2 Comments - The content of this website often contains affiliate links and I may be compensated if you buy through those links (at no cost to you!). Learn more about how we make money. Last edited June 15, 2015 . The good news is that you don't have to feel pessimistic about your retirement prospects. One of the best ways to ensure that you have more money later is to save now. You might think that you can't save any more money, but the truth is that you probably can. Experts say that we waste between 10% and 15% of our income each month. If you make $3,000 a month, that means there is a good chance you are wasting at least $300. Look for those money leaks and then find ways to plug them. Take that money and put it toward your retirement future. Part of the problem with your retirement future is that you might be paying more in fees than you think. Many of us pay fees all the time for various services. From ATM fees to convenience fees to investing fees, you might be paying more than you need to. In fact, some studies indicate that the average two-income household wastes $155,000 in unnecessary 401(k) fees over a lifetime. That's just your 401(k). 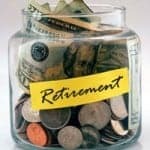 Want to boost your retirement security? Reduce the fees you pay. It really can add up over time. One of the worst things you can do for your retirement future is to tinker too much with your portfolio. Long-term investing is about the big picture. It's about choosing assets that make sense for you, and then sticking with them. Selling in a panic can mean locking in losses. Rather than constantly trade what's in your portfolio (resulting in even more fees), stick to the plan. Over time, you are more likely to come out ahead. While a certain amount of rebalancing is needed on occasion, you don't want to go overboard with tinkering with your retirement investments. You might be surprised at the number of people who have no idea what they might need in retirement. This is problematic, though. How do you know what to do if you haven't a clue as to what you need? Sit down and realistically plan your retirement needs. Consider what you might need for living expenses. Also, remember that health care can get expensive in retirement, and you might live as many as 40 years in retirement, thanks to ever-increasing life expectancies. Consider the idea that you might need a second career, or at least some sort of part-time or side gig income during retirement. This will reduce what you need to rely on from your nest egg. Retirement planning these days requires a little more creativity and insight, as well as a certain amount of flexibility of mind. 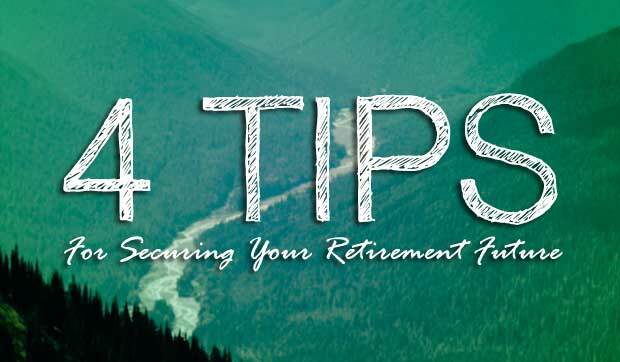 Make it a point to look ahead and take steps to secure your retirement future. 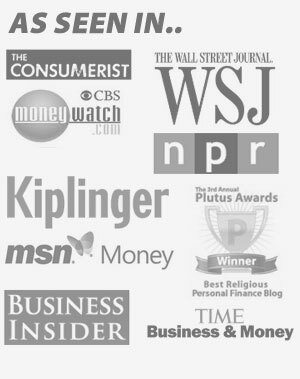 It still amazes me how many clients say “I don’t know” when I ask them how much retirement income they will need. Many of these clients are in their sixties. Your entire article is great and point #4 is absolutely spot on. The key to accurate planning is to understand what your needs will be.